Anime has always been able to tell a story that was different than any other medium of storytelling in existence. It has the ability to carry themes that are both mature and playful at the same time, and has the flexibility to be executed in diverse techniques through the combination of its mechanism of storytelling, combined graphic art, characterization, cinematography, and other forms of imaginative and individualistic techniques used by its creators. Though there are many who are notable for their contributions to this popular art form, few people have ever been noted for their significant impact and influence in the animation industry as Hayao Miyazaki. Miyazaki is a man of many talents and professions, such as being a film director, producer, screen writer, animator, author, and manga artist. He is also the co-founder of the world famous Studio Ghibli, a significantly important film and animation studio. He has attained universal acclaim as a masterful storyteller, animator, and director for his anime feature films, and is regarded as one of the greatest animation directors of all time. His works all received a significant amount of popularity among the local and international audience, with many having received critical acclaim and commercial success. Miyazaki was noted for creating characters which featured strong and independent girls or young women, antagonists with redeeming qualities, and are morally equivocal. He is also characterized by his recurring progressive themes like the relationship man has with nature, technological advancements, the hardships of maintaining a pacifist's mentality, and choosing the correct path to move on. Miyazaki has since received multitudes of praise and awards such as being named a Person of Cultural Merit for the contributions he had made to the culture of anime and Japan back in November 2012 and he had also received the Academy Honorary Award for his impact on animation and cinema in November 2014. He has also been regarded as the greatest animation filmmaker in history by many people for the depth and artistry that is shown in his films. Miyazaki was born on January 5, 1941, in the town of Akebono-cho in Bunkyo, Tokyo, and he was the second of four sons. His father, Katsuji Miyazaki, was the director of Miyazaki Airplane, a company that manufactured rudders for fighter planes during World War II. When Miyazaki was only three years old he had to move a lot due to multiple areas being bombed, which had left a lasting impression on him. Just when Miyazaki had started going to school, his mother (pictured below) was suffering from spinal tuberculosis which required her to go to a hospital for a few years before being nursed from home. Miyazaki's mother was a strict and intellectual woman. Miyazaki had aspired to become a manga artist but found out that he had difficulty in drawing people, so instead he drew planes, battleships, and tanks for several years. Miyazaki was influenced by several manga artists, such as Soji Yamakawa, Tetsuji Fukushima and Osamu Tezuka. Miyazaki had destroyed most of his early works because he considered them to be detrimental to his own development as an artist by copying the art style of another. When Miyazaki was in his third year of high school, his interest in animation had sparked upon watching an animated film called Panda and the Magic Serpent. He "fell in love" with the movie's heroine which left a lasting impression on him which is evident in his later works. While he attended university, he was a member of a "Children's Literature Research Club". He graduated in 1963 from Gakushuin University with degrees in economics and political science. After graduating, Miyazaki received employment at Toei Animation where he worked as an in-between artist on theatrical animes such as Doggie March and Wolf Boy Ken. Miyazaki had later worked on The Great Adventure of Horus, Prince of the Sun where he served as the chief animator, concept artist, and scene designer. During the film's production, Miyazaki had worked closely with his mentor, Yasuo Otsuka, whose approach to animation had made a profound impact on Miyazaki's work. The film was directed by Isao Takahata, whom Miyazaki would ultimately collaborate with throughout his career. The film then received high praise and was deemed pivotal to the evolution of animation. Miyazaki then continued at Toei Animation for a while and started his career as a manga artist as well before leaving and working with other studios at different roles. He eventually got to direct his first feature anime film, The Castle of Cagliostro (1979), which is a Lupin III film when he moved to Telecom Animation Film which is a subsidiary of TMS Entertainment. Miyazaki later on wrote the manga Nausicaä of the Valley of the Wind which was later adapted into a film of the same name (pictured below). It was originally supposed to be a fifteen-minute special, but Miyazaki declined and proposed a sixty minute OVA. However, Tokuma Shoten countered by sponsoring for it to be made into a feature film. The film was a resounding success and received universal acclaim. It had such a great influence on many people including Hironobu Sakaguchi, the creator of Final Fantasy, who stated that both the manga and film influenced his series. 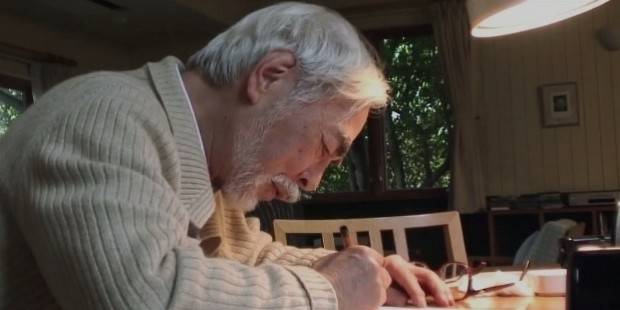 The film had also laid the foundation for future collaborative works with Miyazaki and cemented his career as an animator. In June 1985, Miyazaki, together with his colleague Takahata and Yasuyoshi Tokuma, the founder Tokuma Shoten, had founded Studio Ghibli. Their first film was Laputa: Castle in the Sky (1986), where hey had employed the same production crew of Nausicaä. It became the highest grossing animation film of that year in Japan. 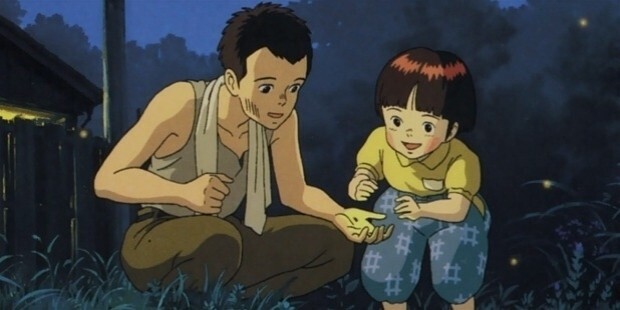 In 1988, Miyazaki had released My Neighbor Totoro (pictured below) alongside Takahata's Grave of the Fireflies (pictured above) in April to ensure the studio's financial status. The film featured the theme of man's relationship with nature in contrast to Nausicaä's theme of the negative effect of technology on nature. The film was commercially unsuccessful but through merchandising it had received critical acclaim. In 1987, Studio Ghibli had acquired the rights to adapt Eiko Kadono's novel Kiki's Delivery Service into a sixty-minute special, where Miyazaki was unable to direct due to his work on My Neighbor Totoro. Miyazaki eventually took over as director after he was unsatisfied with the script. The film expanded into a feature-length film after Miyazaki took the reins. Kiki's Delivery Service (pictured below) premiered on July 29, 1989 and earned ¥2.15 billion at the box office and was the highest grossing film in Japan of that year. In 1989, Miyazaki began producing an in-flight film for Japan Airlines which Suzuki ultimately extended into a feature-length film, titled Porco Rosso. The film premiered as an in-flight movie since the airlines were the major investors. Once it was released for the theaters, it was critically and commercially successful that it remained the highest-grossing animated film in Japan for several years. Miyazaki then went on to make his most successful films in the following years where he received multiple awards and recognitions from the film industry and the fans on a global scale. He worked primarily on Princess Mononoke (pictured below) where he revisited the themes of Nausicaä and personally supervised all 144,000 animated cells in the film. The film received critical acclaim and was commercially successful, earning a domestic total of ¥14 billion. It was also the first Studio Ghibli film to receive a significant amount of theatrical distribution in the United States. After the film was unsuccessful at the box office, Miyazaki claimed that Princess Mononoke would be his last film. In 1997, Tokuma Shoten merged with Studio Ghibli. While Miyazaki was on vacation he realized he had not created a film for ten-year-old girls and set out to do just that. He produced Spirited Away (pictured below) with themes about human greed and journeying through the spirit realm. When the film was released on July 20, 2001, it was met with critical acclaim and lauded as one of the greatest films ever as well as becoming the highest-grossing film in Japan. The next film was Howl's Moving Castle (pictured below) wherein Miyazaki went to France to study the architecture and the surroundings for the film's setting. When the film was released on 2004, it had received widespread critical acclaim and had earned many awards and was among the highest grossing films of Japan for many years. At the 62nd Venice International Film Festival in 2005, Miyazaki had received the honorary Golden Lion for Lifetime Achievement Award. His next film was Ponyo (pictured below) where he aimed to celebrate the innocence and cheerfulness of a child's universe. The film was released on July 19, 2008 and was critically acclaimed and a commercial success. He later co-wrote a screenplay for The Secret World of Arrietty and From Up on Poppy Hill. 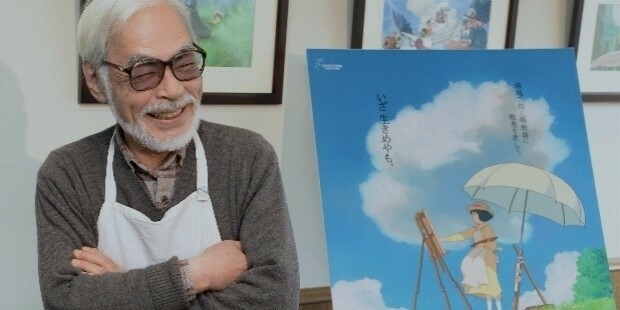 Miyazaki wanted his next film to be a sequel to Ponyo but was convinced by Suzuki to adapt The Wind Rises. He was inspired to adapt it after reading a quote from Jiro Horikoshi in the manga: "All I wanted to do was to make something beautiful". The film was commercially successful and received critical acclaim, as well as being as being named Animation of the Year at the 37th Japan Academy Prize. 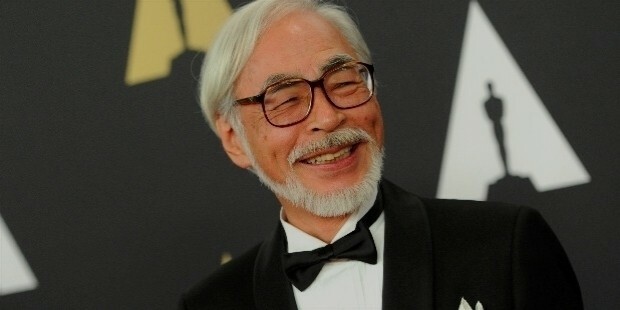 In 2013, Miyazaki had announced his retirement but came back in 2016 to produce a new feature-length film that is said to be finish by 2019. Miyazaki has been married since October 1965 to Akemi Ota who is a fellow animator. They have two sons, Goro and Keisuke Miyazaki. Goro followed in his father's footsteps despite the two having a rocky relationship. 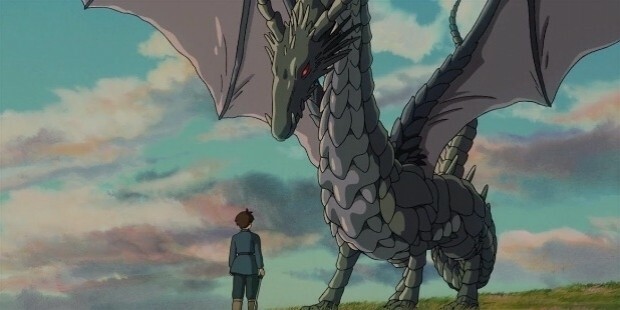 Goro directed the Tales from Earthsea feature (pictured above) despite the fact that his father believed he was not yet ready to direct a film, which caused the two of them to develop personal friction throughout the project. Miyazaki later wrote a message to his son: "It was made honestly, so it was good". Miyazaki is regarded as one of the greatest animators to have come into existence. His films have all met critical acclaim and most received commercial success locally and internationally. His themes on nature, the effects of technology, the warmth and love of family, the beauty of the world, pacifism, and being capable to overcome the adversities one must face are all great themes that many people praise him for and the way it is translated into his works is an art form in and of itself. He has been criticized before for his anti-war and feminist themes, though he has stated that he simply wishes to entertain and that is what he is. Miyazaki is an entertainer and an extremely talented one at that. Though there may be controversies here and there about his work, let us not forget that he is merely integrating themes that he believes are relevant to the portrayal of his films and manga. Miyazaki believes they are necessary in terms of fleshing out his characters, giving them life, creating a vibrant living, breathing world where each choice can have a resounding impact on the state of affairs in that respective environment. Miyazaki has become a great influence on many animators, directors, and writers from around the world like Guillermo del Toro, Pete Docter, Glen Keane, John Lasseter, Shigeru Miyamoto, and Hironobu Sakaguchi. His influence can even be seen in the animated series Avatar: The Last Airbender and the video game Ori and the Blind Forest. 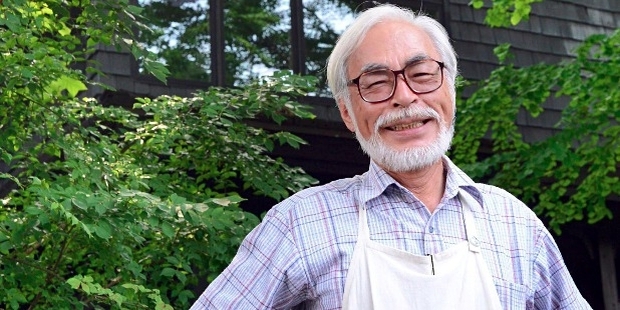 Even when he retired in 2013, many writers left Studio Ghibli to work with other studios. Studio Ghibli is one of the greatest animation studios that have ever existed and it couldn't have gotten to where it is now without Miyazaki. He is a living legend, but above all, he is an entertainer who has earned a place in the hearts of millions of peoplle. Despite being generations apart, his works are all-time classics and can be enjoyed by both children and adults alike. Miyazaki has innovated and helped develop the world of animation to what it is today which is a world people can always find something interesting to watch, to laugh and cry, to enjoy with friends, and to remember for a long time not only in their memories but also in their hearts.